When Thor meets up with the Guardians of the Galaxy in Avengers: Infinity War, Groot’s probably going to lend him a hand — literally — to help create a new weapon for the Norse god, and it’ll be a badass new axe. Thor lost Mjolnir during Thor: Ragnarok, and even though he can still use his thunder god powers without a weapon, he’s going to need all the might he can muster in the fight against Thanos. This new Marvel toy seemingly confirms previous rumors that Thor’s new weapon is some kind of axe. The head of the weapon does have an axe on one side, but the other side has a blunt hammer-like edge. The handle is seemingly constructed out of a gnarled piece of wood with a single leaf. It’s no Mjolnir, but it’ll do just fine. Conceptually, it’s pretty similar to some other weapons we’ve seen in Marvel comics before. The new weapon is conceptually similar to one version of Ultimate Mjolnir in the comics. 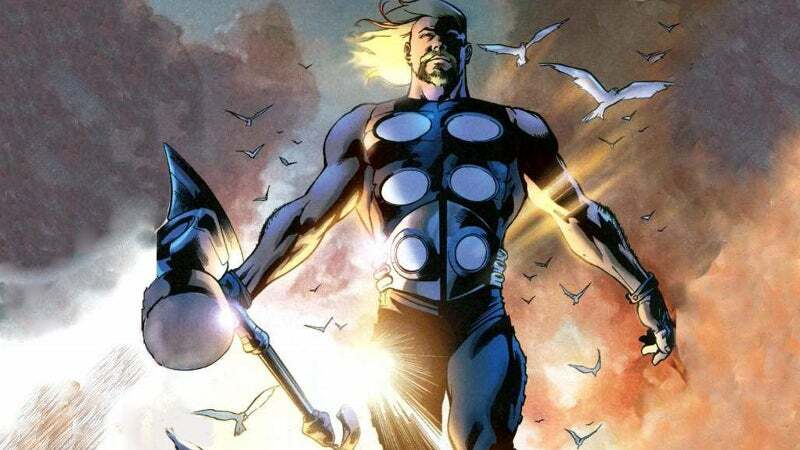 “Stormbreaker” is actually the name of an axe-hammer hybrid given to Beta Ray Bill, an alien rival to Thor that temporarily takes Mjolnir for a time. After the two battle for ownership of the hammer and Thor gets it back, Odin constructs Stormbreaker out of Uru metal, the same stuff that’s in Mjolnir. That way, both heroes can walk away with a totally crazy mystical weapon. 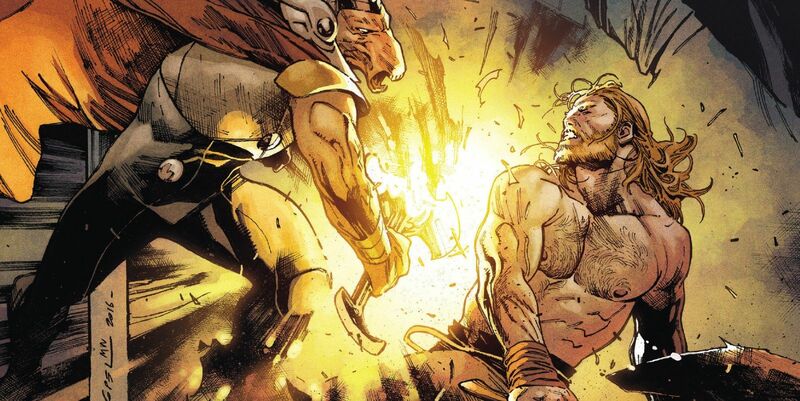 Beta Ray Bill looks a lot like Thor, but with a very different hammer. Many fans speculated that in Infinity War, Thor might wield a version of the axe Jarnbjorn that he wields in the comics at times. It’s what he fought with as a young viking before becoming worthy of Mjolnir, and again later when he was deemed unworthy. Considering Asgard was destroyed by the end of Thor: Ragnarok, it’s doubtful that we’d get this kind of comics deep cut. The supposed reality of what happens in Infinity War is much different: According to past reports, Thor fashions himself a new weapon but only constructs the head. When it comes to fashioning a handle, he’ll seek help from his new friends, the Guardians of the Galaxy. Based on the toy’s design — a gnarled branch with a single green leaf — it seems like Groot might offer up a piece of himself as the handle. Which would be totally badass. Teen Groot might help Thor out in 'Infinity War'. We’ve known for awhile that Teen Groot is looking for some kind of new mentor in Infinity War, so it only stands to reason that he’ll find just that when Thor smacks into the Guardians’ windshield early in the movie. So when we say Groot might lend a hand in the construction of Thor’s new weapon, that’s literal. We’ve seen the tree sacrifice himself before, occasionally offering up pieces of his body and getting chunks ripped off in battle. Maybe Teen Groot will be just as selfless in Infinity War despite a seemingly bad attitude. Avengers: Infinity War will be released May 4, 2018.